Stations of the Cross - Meditate on the passion and death of Jesus. Here is the main prayer said at the beginning of each station and a list the stations. 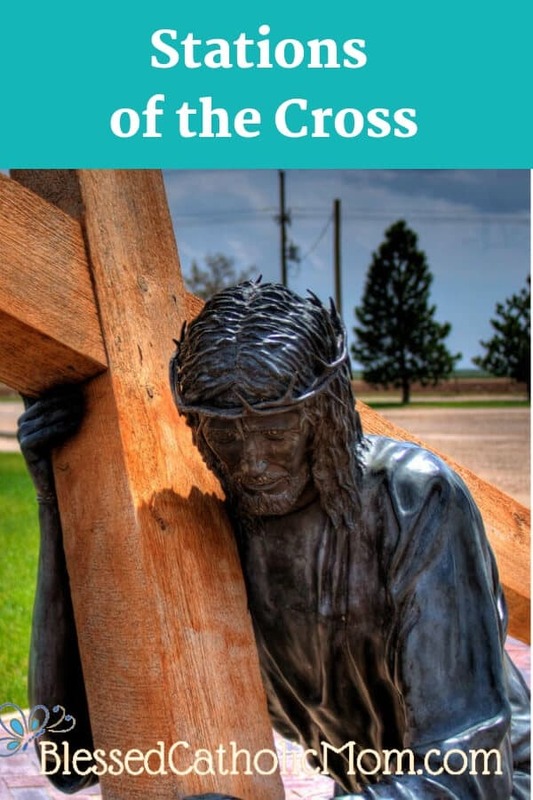 When we pray the Stations of the Cross (also called The Way of the Cross), we meditate on Jesus’ passion and death-his trial, scourging, carrying of the cross, crucifixion, and death. We contemplate His suffering for our sins. We pray. The Stations of the Cross are traditionally prayed on Fridays in Lent. There are many different versions of prayers for the Stations of the Cross that can be prayed at each station. Many churches have booklets with the prayers, or you can find a list of the Stations and prayers to accompany them on the US Conference of Catholic Bishops’ website.